Towns, military bases and zombies invasions. 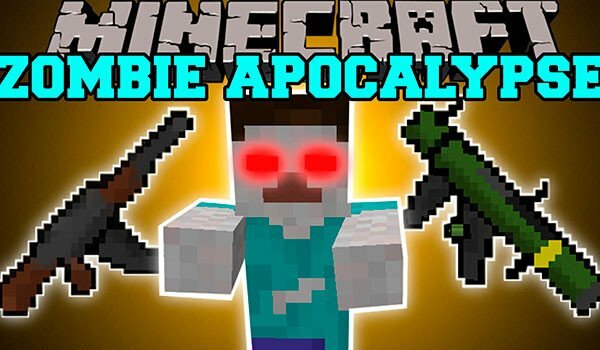 Zombie Warfare 1.8 is a mod that aims to add difficulty to your game Minecraft, exploiting the concept of zombies attacks, survival and the care and defense of both towns, and the citizens. The mod adds new structures to world generating, new settlements and military bases. In towns we find human citizens. These people need our help to overcome the invasion of zombies, so if the leave will be invaded. Although the villages will also be defended by military forces (human). Besides this, the mod adds new mineral, bronze, allowing us to develop new weapons, armor and magic wands will allow us special abilities. All this, to defend against new zombies adding this mod, which, incidentally, will be more powerful and faster than the predefined Minecraft zombies. How to install Zombie Warfare Mod for Minecraft 1.8? Defend the villages of zombies attacking!